Shohei Ohtani will only be one player in ESPN's fantasy baseball leagues this year, a contrast from Yahoo's maligned "two Ohtani" decision. In anticipation of its fantasy baseball product opening next week, ESPN on Wednesday morning unveiled its strategy for two-way phenom Shohei Ohtani. Similar to CBS Sports but diverging from Yahoo Sports, ESPN will use Ohtani as one rostered player, eligible as both a starting pitcher and as a utility player for the 2018 season. Before each scoring period, depending on whether you play in a weekly or a daily league, owners will be able to choose whether to start Ohtani as a hitter or pitcher and get credit for his stats depending on where you place him in your lineup. 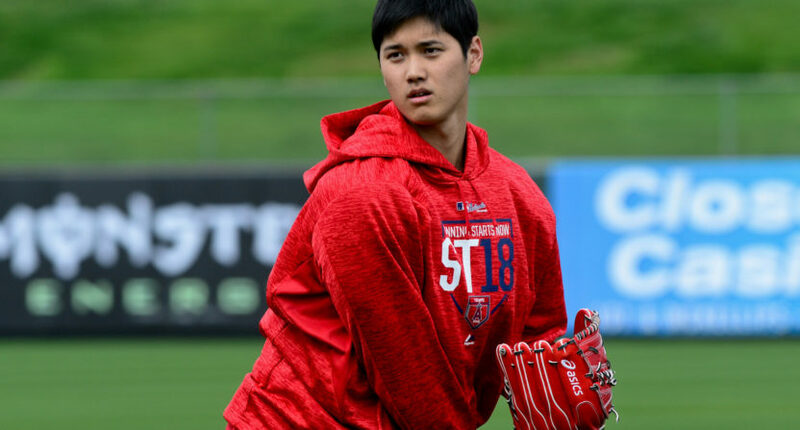 With Ohtani’s team, the Los Angeles Angels, going with a six-man rotation to start the season, Ohtani will be in a similar situation as he was in Japan, pitching once a week and making a few starts per week in between as the designated hitter. Awful Announcing spoke with Pierre Becquey, ESPN’s deputy editor for fantasy and esports, as to how the site came to its decision and how Ohtani will impact the sport in numerous ways. Becquey said that he and other members of ESPN’s editorial and product teams for fantasy began to discuss the Ohtani situation last August, in what he called a collaboration with everyone who touches the fantasy product. They understood the short and long-term ramifications of this decision and wanted to get it right, Becquey said. What makes Ohtani so unique, Becquey said, is that he’s one rostered player who will function as two, a starting pitcher and a utility hitter. So instead of having to drop someone for a hitter or a pitcher on a given day, Ohtani serves those dual roles. Now that Ohtani is eligible as both a starting pitcher and a utility hitter, he’ll gain further eligibility just like any other player would. If he accumulates at least 10 games in the field at a position, he’ll gain eligibility at that position. If he somehow makes at least five relief appearances, he’d be eligible there, too. And the same goes, Becquey said, for any other pitcher who somehow makes appearances at DH, like, say, a Madison Bumgarner. If Bumgarner spends 10 games as a DH, then in ESPN fantasy, he’d be utility eligible. “It’ll just follow the rules of fantasy baseball,” Becquey said. That same logic would apply, similar to CBS Sports for this year, to players like Tampa Bay Rays prospect Brendan McKay or Cincinnati Reds prospect Hunter Greene, who could end up being two-way players as they make their way to the major leagues. Since Ohtani’s primary position on ESPN will be as a pitcher, Player Rater will rank him against replacement-level pitchers and add anything he does as a hitter as a bonus, rather than also rate him against replacement-level hitters. The only downside for having Ohtani’s primary position be a starting pitcher is that for leagues that use only batters, Ohtani will not be available in the player pool.